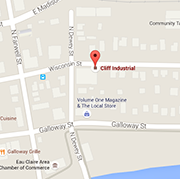 Cliff Industrial now provides our customers with the best CNC machining services available in the Chippewa Valley. Cliff Industrial is a leader in small component part manufacturing including precision swiss screw machining, wire EDM machining and now plasma cutting. Because of their highly precise size, shape and stress requirements, many components cannot be produced using traditional machining methods. Computer controlled, automated manufacturing techniques, including Wire Electrical Discharge Machining and Swiss Screw Machining, are utilized to produce parts that meet the required specifications. From single prototypes to large production runs, Cliff Industrial is set up to fulfill your small component CNC machining needs. We’re ready and available to tackle any project you may have. 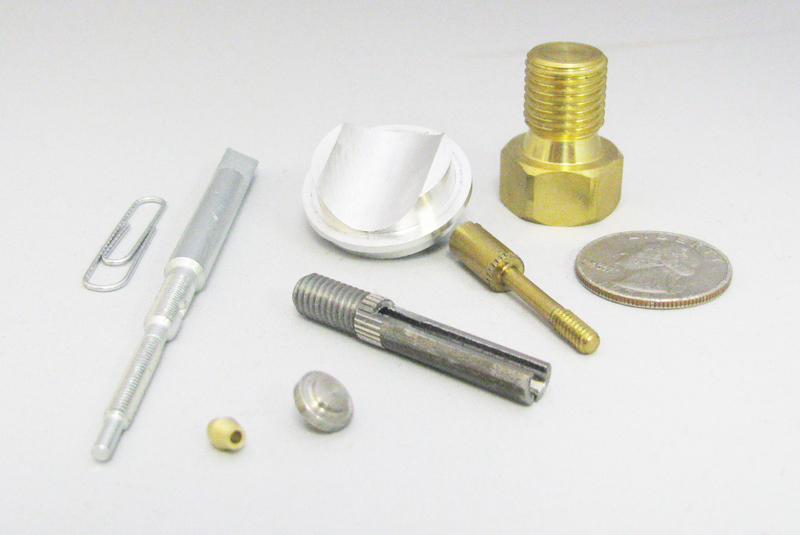 We have the ability to deliver the small, high precision parts necessary for the manufacturing of critical components. Cliff Industrial will produce your fine parts with high accuracy and less downtime, allowing you to keep production on-track. We run a lights-out machining facility creating a fast turn around for your precision machined components. Most common component parts we produce are spacers, fasteners, nozzles, poppets, electronic connectors, customer hardware and precision shafts. We manufacture our own tooling and can cut a variety of part sizes up to 33.5″x19.7″x7.88″ weighing up to 1.100lbs. We work with wire sizes that range from .098″ for small precision work to .010″ for large work pieces. Our wire EDM machines are capable of multi-axis movement giving us the ability to cut any desired shape up to a 45 degree taper with accuracies of +/-.0001″. With repeated passes, wire EDM can produce a surface finish superior to other forms of manufacturing. The additional of the CNC plasma cutter has allowed us to make local, high quality CNC plasma cut fire rings and other metal art available in a variety of sizes and custom designs. See design examples here. Our customers know they can depend on us to complete their projects on time and on budget. And our commitment to superior customer service and close attention to detail guarantees that the finished product meets or exceeds their specifications before it ever leaves our facility. Let Cliff Industrial put our expertise to work for you. We’re here to help you every step of the way from design and set up to final quality inspections and secured shipping. Contact us today to discuss your small component part manufacturing project..